A student who hopes to obtain a bachelor's degree from Great Basin College, but is beginning his or her education at another Nevada community college, can save time and money by planning ahead. Use a transfer articulation agreement to help you pick the appropriate classes. If you plan to transfer courses to GBC, please have an official transcript sent to: Admissions and Records, 1500 College Parkway, Elko, NV 89801. GBC will evaluate your transcripts from other colleges, provided that you've both applied and declared a major. If you did not declare a major when filing your application for admission, you may do so by completing a Student Information Change form and delivering it to the Admissions Office in Berg Hall at GBC Elko or your local GBC Center office. You can also change your major through your MyGBC Student Center. Click on My Academics and then "Request Program/Plan Change". For the awarding of college credit, Admissions and Records will only accept official transcripts from other colleges, universities, and educational testing sources; unofficial copies will not be accepted. A transcript must be sent directly to Admissions and Records by mail or electronically from the applicable institution to be considered official; faxed copies will not be accepted. A transcript that is hand-carried in a sealed envelope to Admissions and Records that was mailed to the student directly from the applicable institution may be accepted as official provided the envelope has not been opened. If you have initial questions about the transferability of your courses, you may want to consult with an Advisor at GBC's Admission Advising and Career Center. GBC's Transcript Evaluator will determine how your courses apply to GBC's program requirements. When clarification is needed, the Transcript Evaluator will consult with the appropriate academic department. How Do I Check to See if My Transfer Courses Have Been Applied at GBC? Click the My Academics link at upper left. Click the View my transfer credit report link. If you disagree with the results of evaluation, you can discuss your areas of concern with the Evaluator (Admissions Office, Elko Campus, 775-753-2273). It will be helpful for you to provide additional documentation, such as catalog course descriptions and course syllabi. The Evaluator will then review the transcripts again, conferring with faculty as needed. If you are still dissatisfied, you should contact the Registrar at the address below in writing, outlining specific concerns and request, providing documentation, if appropriate. 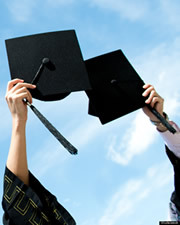 The Registrar will then work in consultation with the appropriate faculty and make a final determination. A student transfering to GBC with an Associate of Arts (AA) or Associate of Science (AS) from a regionally accredited college or Associate of Business (AB) from an NSHE (state of Nevada) Institution will be considered by GBC to have fulfilled the GBC lower-division general education requirements. A student transfering with a bachelor’s degree from any regionally accredited college or university will be considered to have fulfilled all general education requirements (lower- and upper-division). These students are not required to take Integrative Seminars (INT 339, INT 349, INT 359, INT 369) if they already have a bachelor’s degree, unless the INT seminar is a specific program requirement. For more transfer information please check out our Transfer Frequently Asked Questions (FAQs) page for transfer related topics. Explanations regarding students' rights and responsibilities can be found on the Nevada System of Higher Education Transfer Rights and Responsibilities Page.